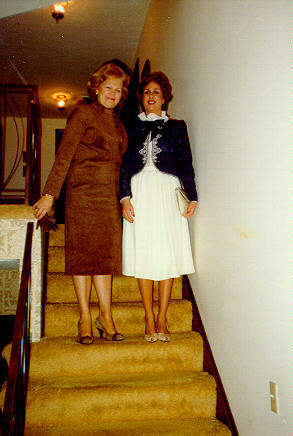 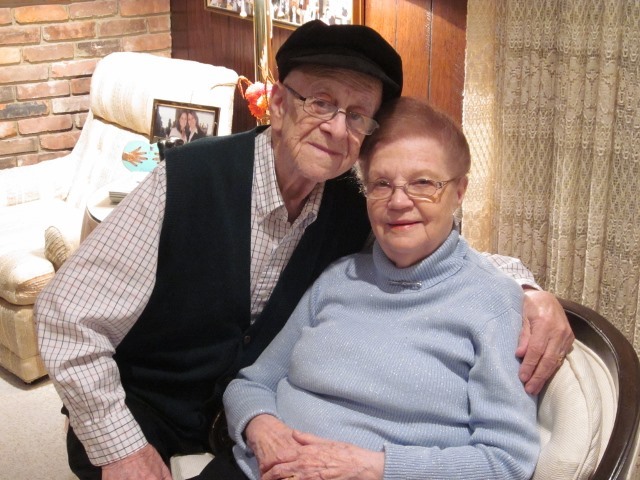 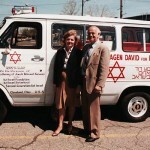 Hildegard and Jacob Hennenberg, Cleveland, Ohio. 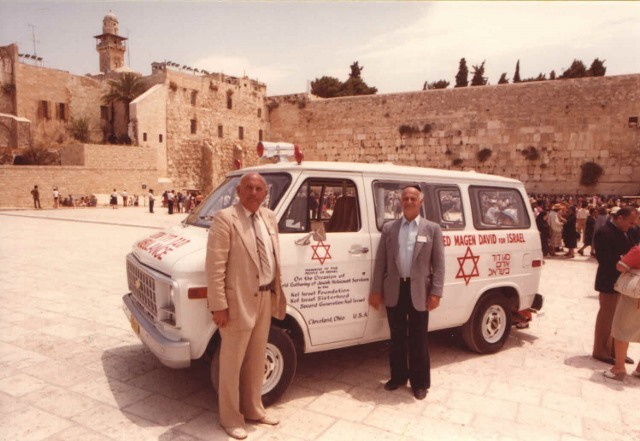 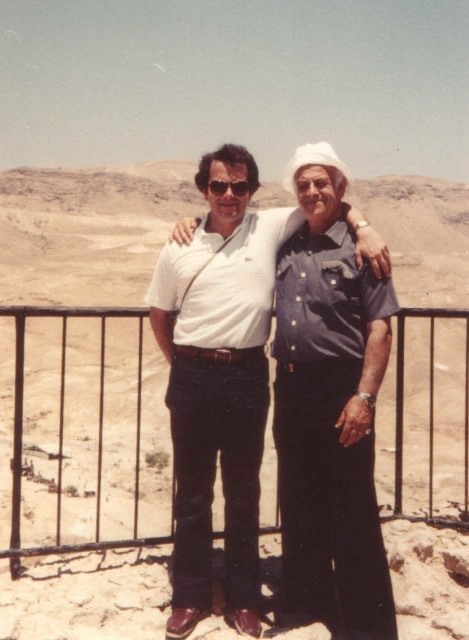 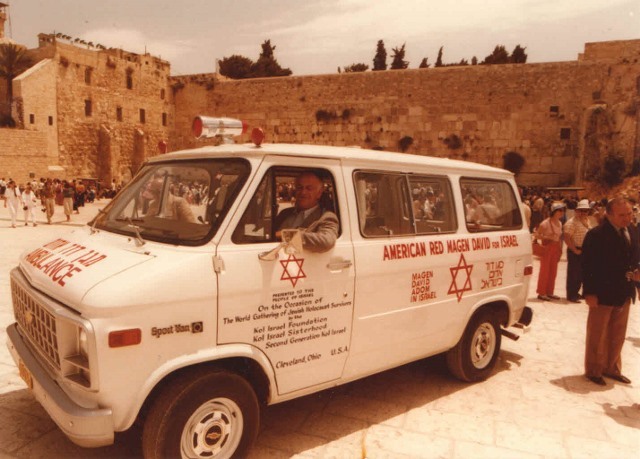 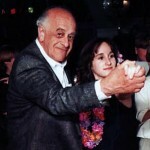 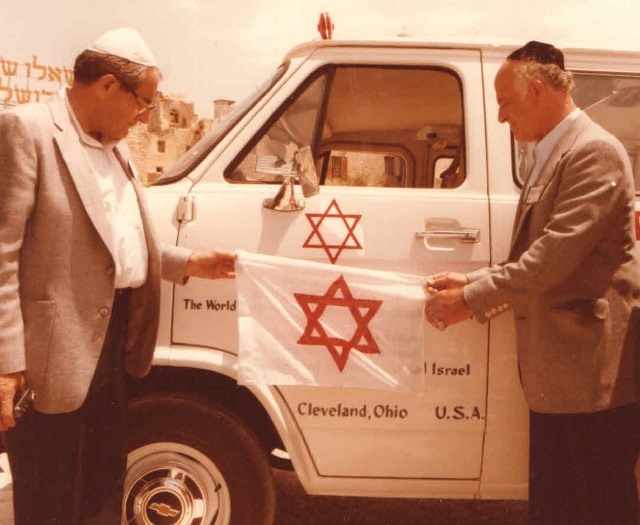 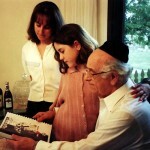 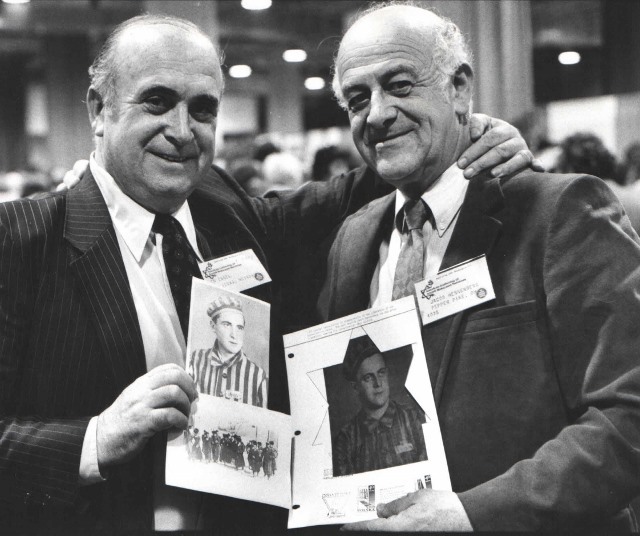 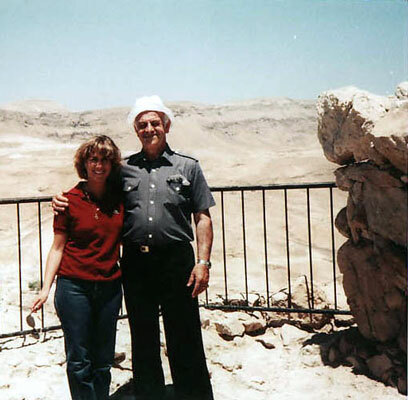 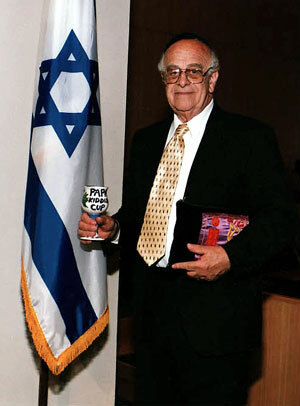 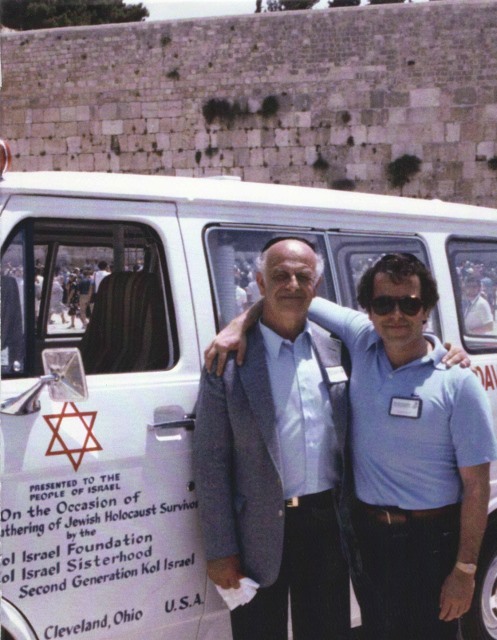 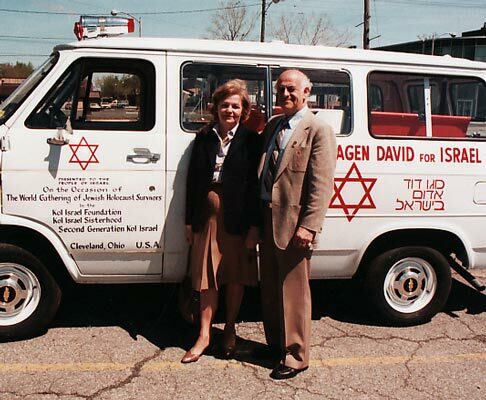 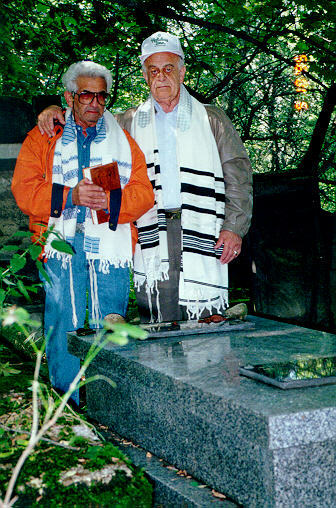 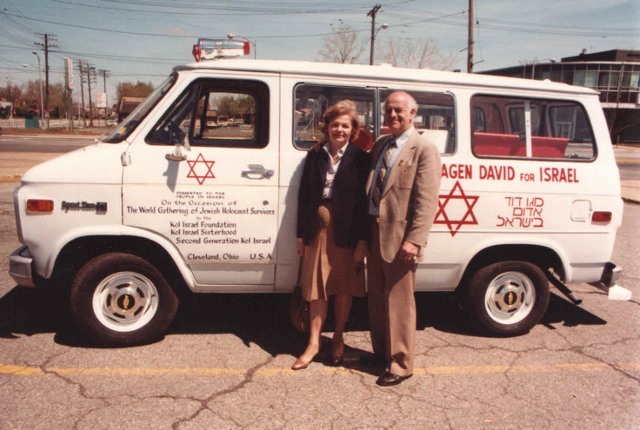 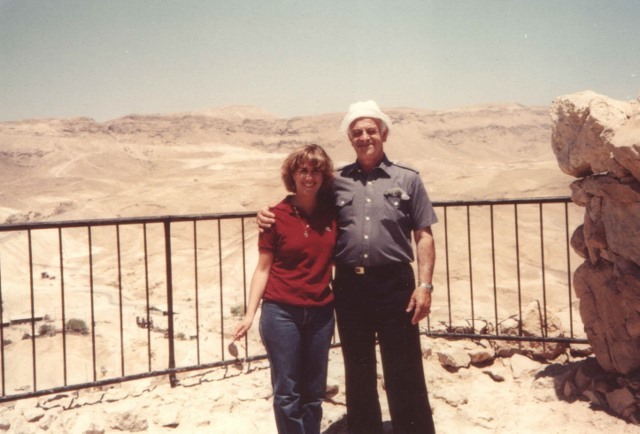 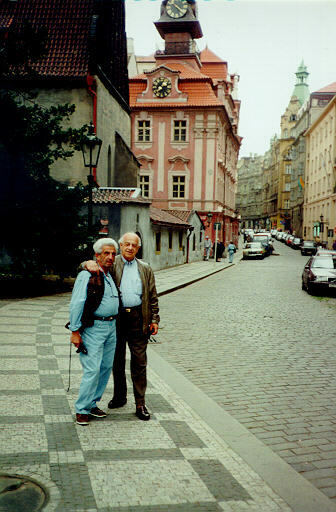 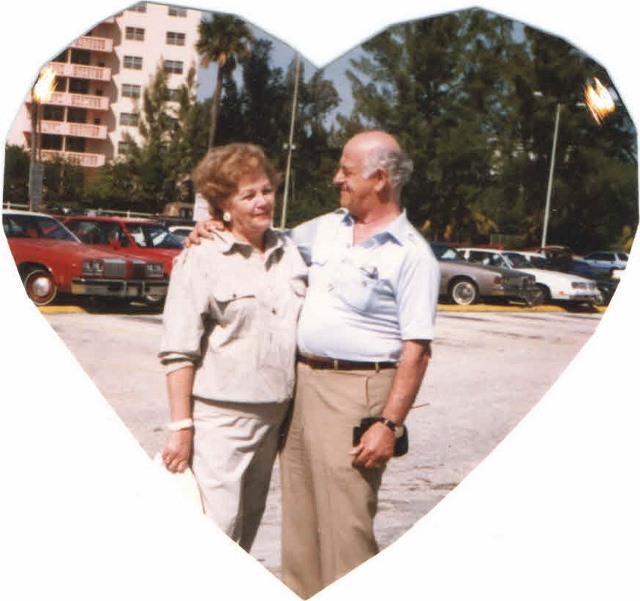 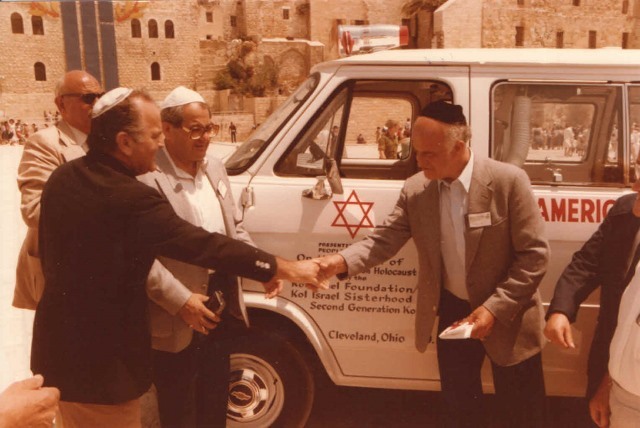 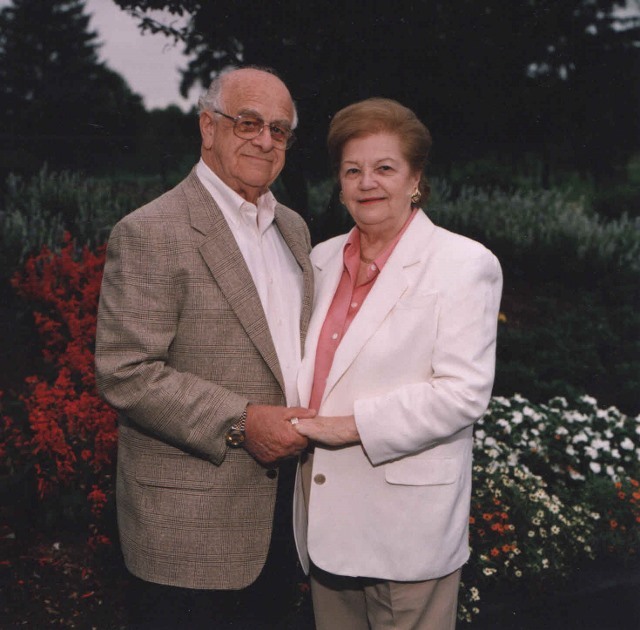 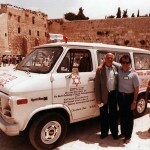 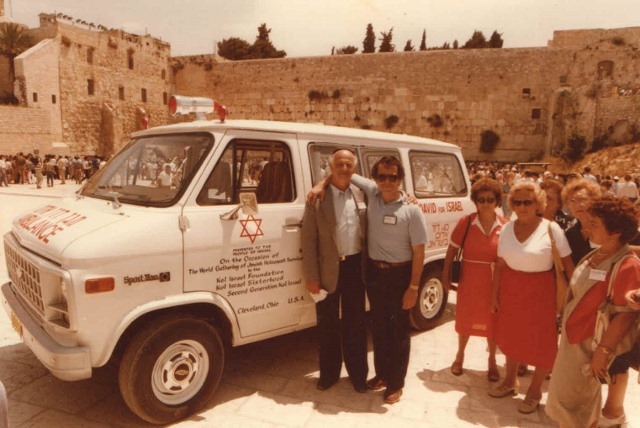 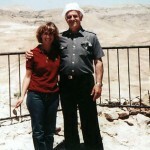 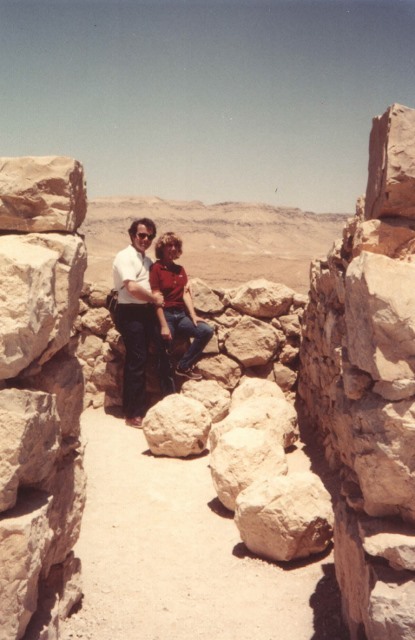 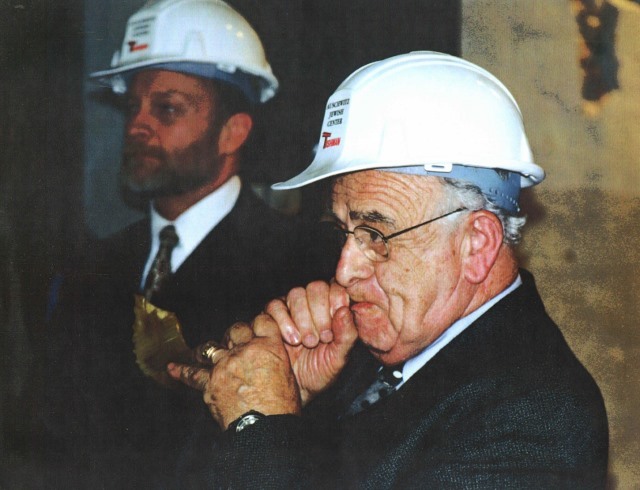 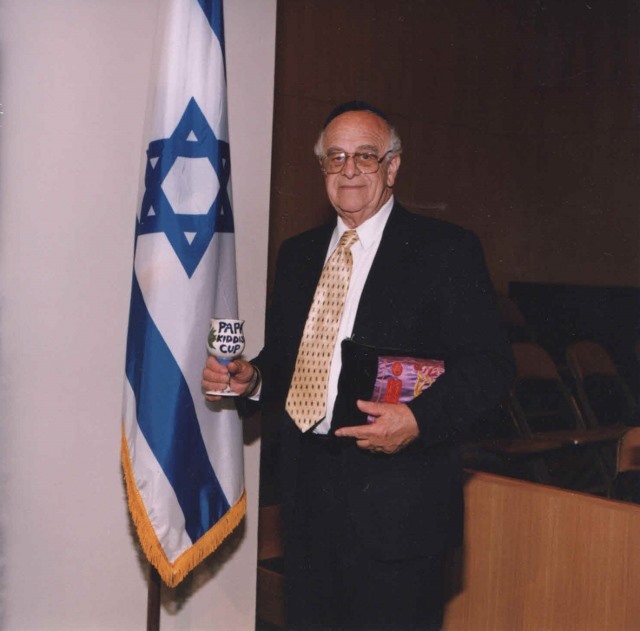 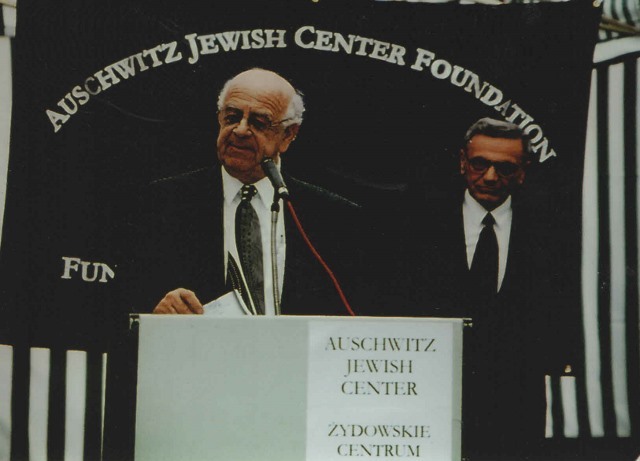 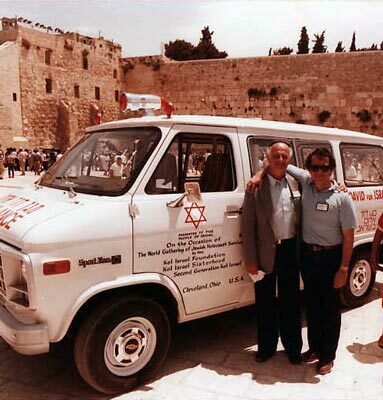 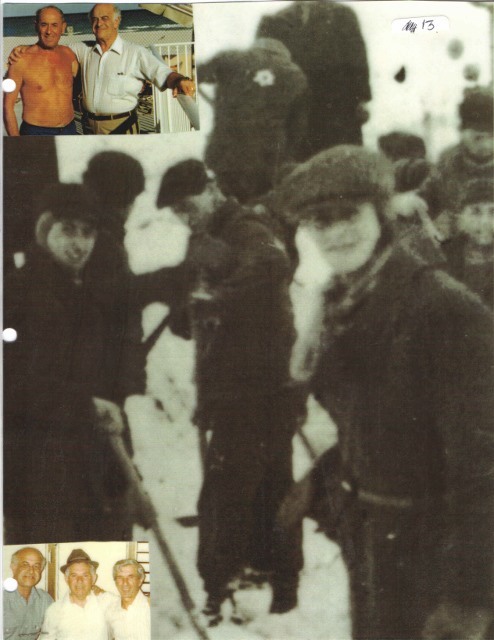 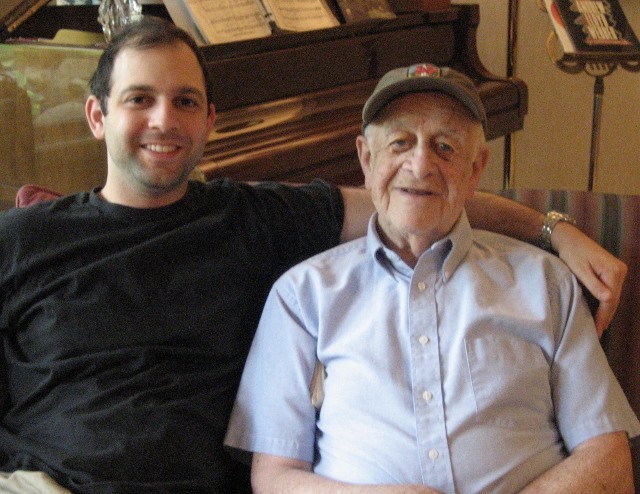 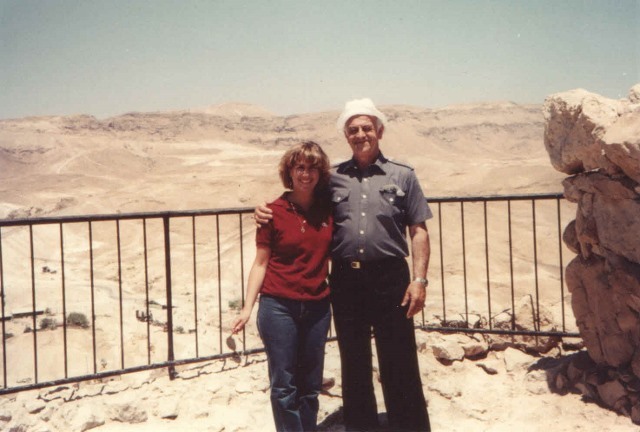 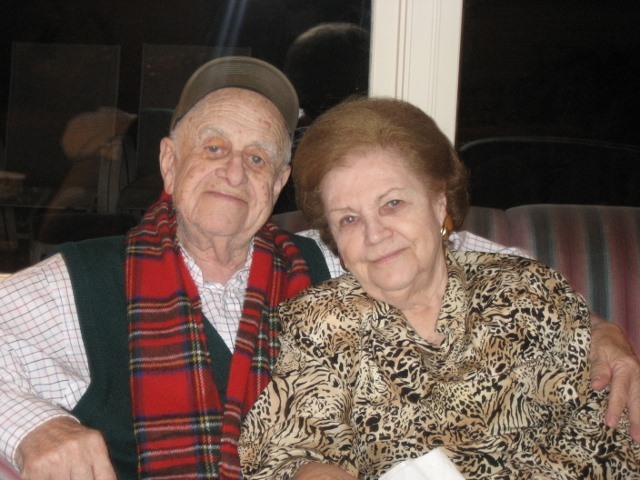 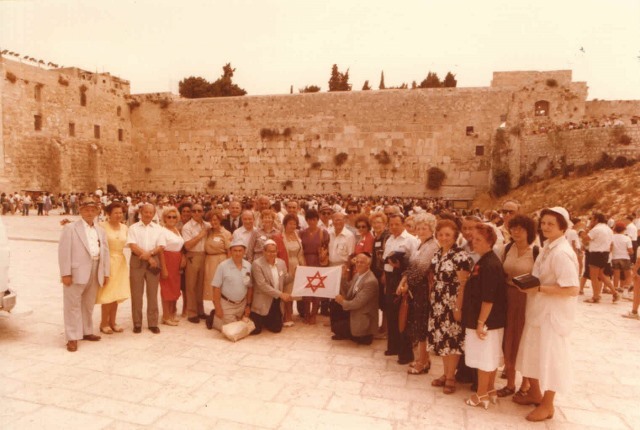 Jacob and Michael Hennenberg pictured in Israel during the 1989 Gathering of Holocaust Survivors. 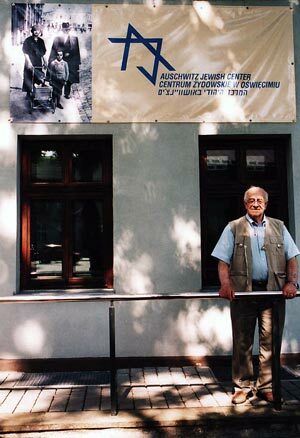 Jacob standing in front of his childhood home. 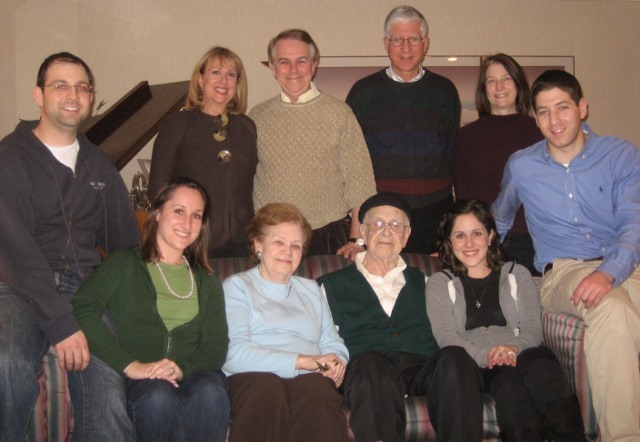 Susan, Michael, Hildegard, Jacob, Debby, and Julie Hennenberg. 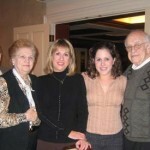 Julie, Debby, and Jacob Hennenberg. 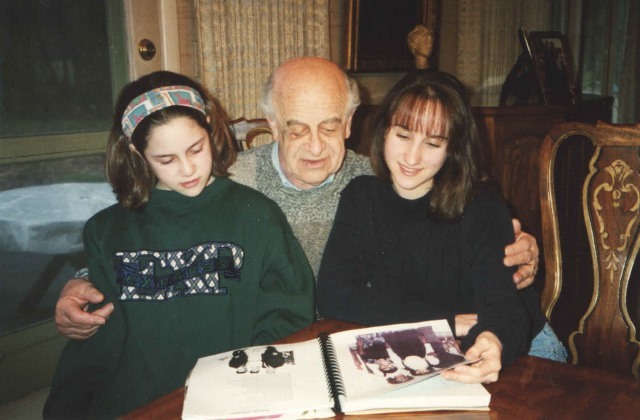 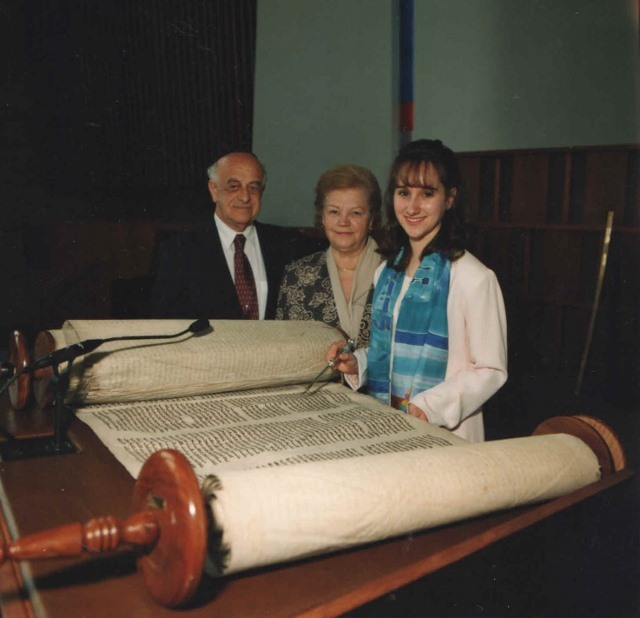 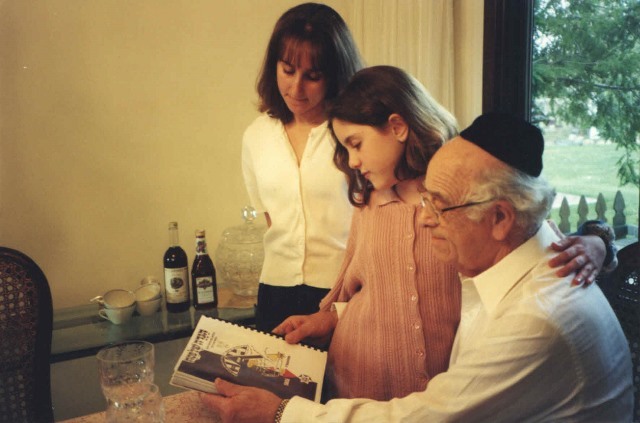 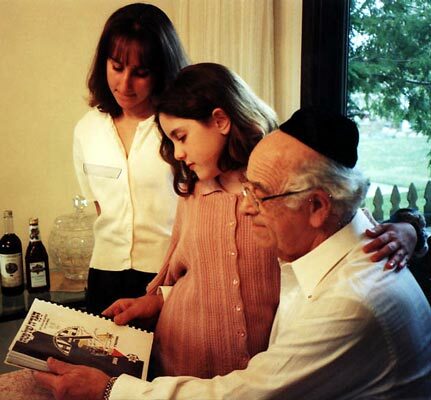 Jacob and Hildegard Hennenberg with their first granddaughter Julie Hennenberg at her Bat Mitzvah. 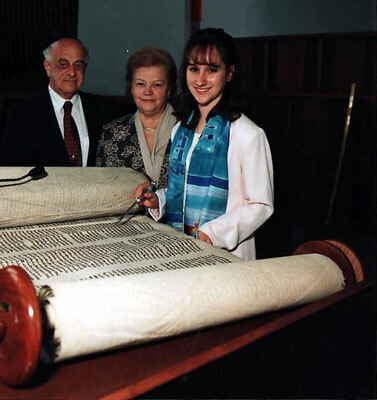 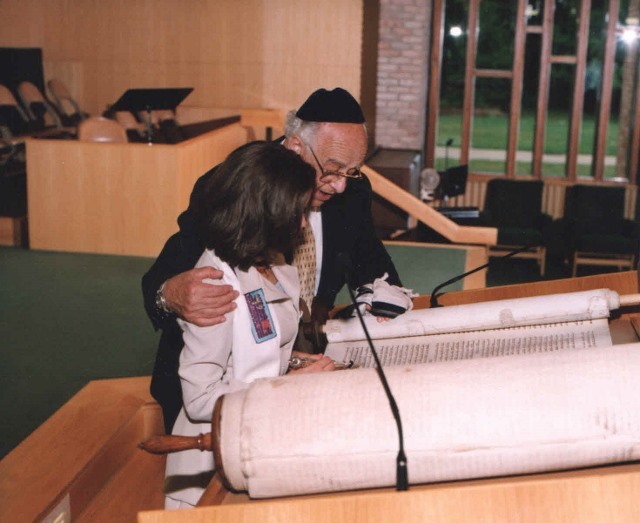 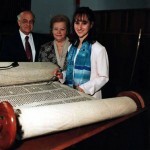 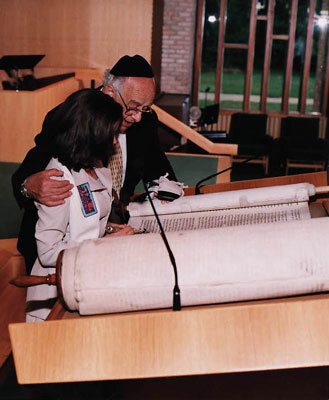 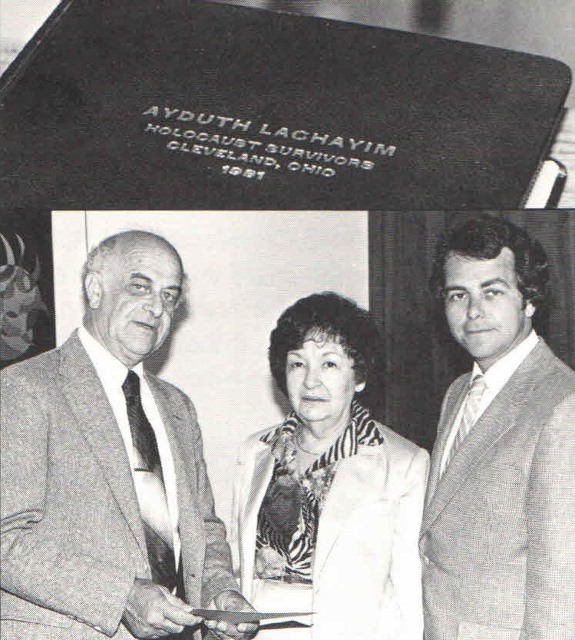 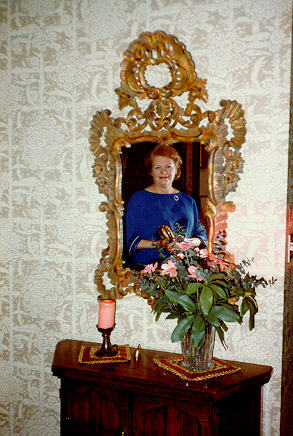 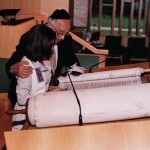 The pictured scroll survived the Holocaust in Czechoslovakia and was ultimately brought back to the United States from England by Mr. Rosenthal. 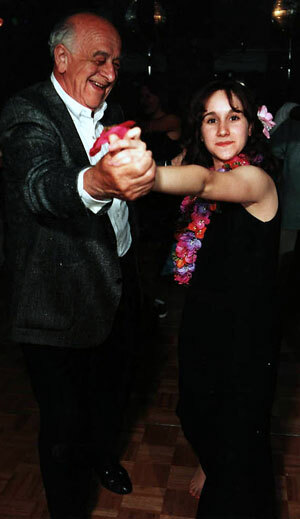 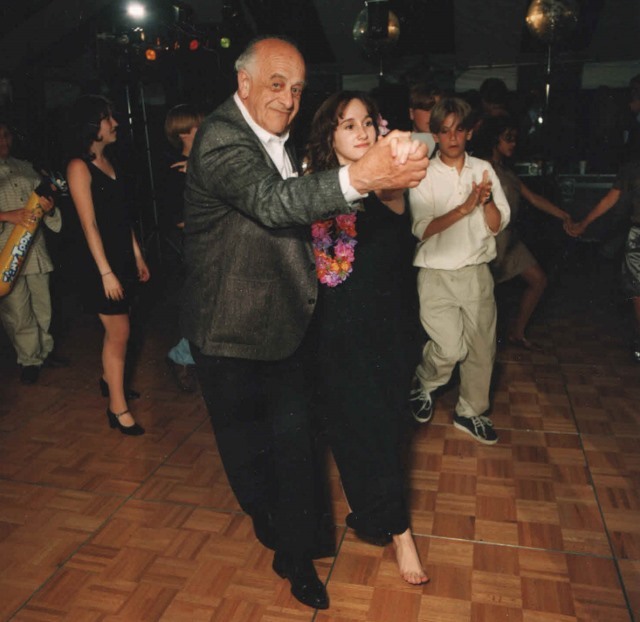 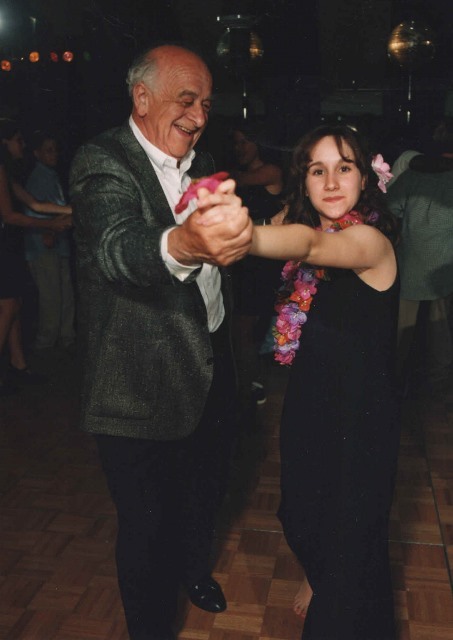 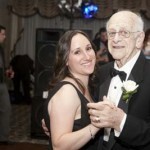 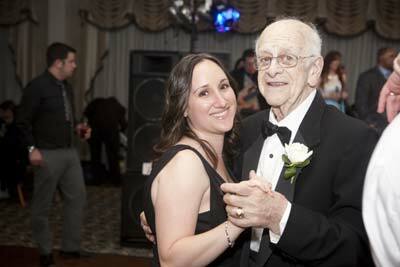 Jacob and Julie Hennenberg dancing during the celebration of Julie’s Bat Mitzvah. 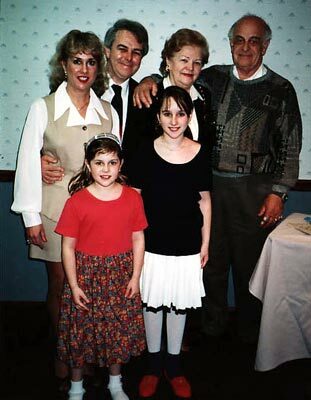 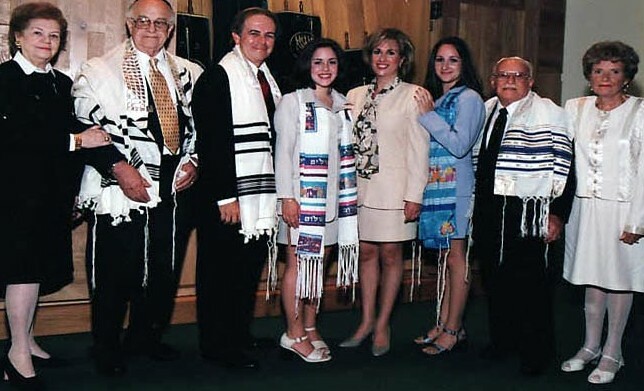 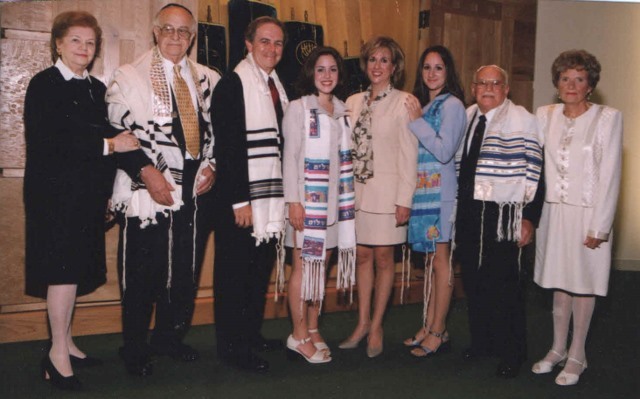 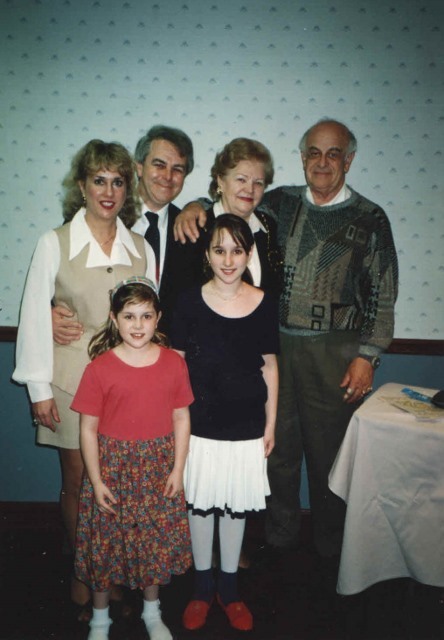 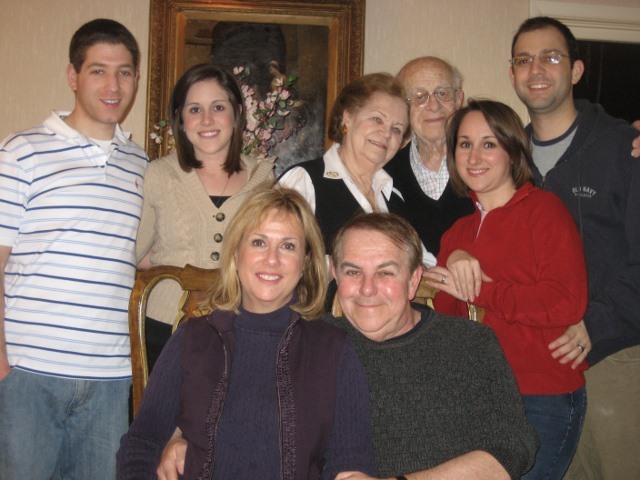 Debby Hennenberg’s Bat Mitzvah, left to right: Hildegard Hennenberg, Jacob Hennenberg, Michael Hennenberg, Debby Hennenberg, Susan Spitz Hennenberg, Julie Hennenberg, Harry Spitz (Susan’s father), and Anna Spitz (Susan’s mother). 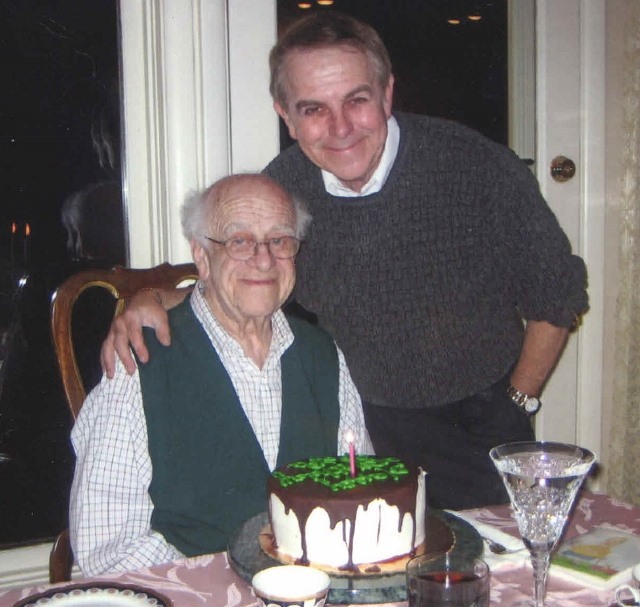 Jacob and Michael Hennenberg celebrating a birthday. 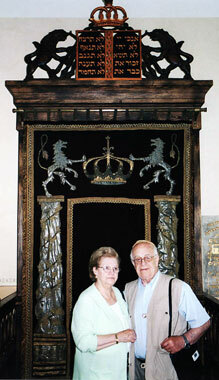 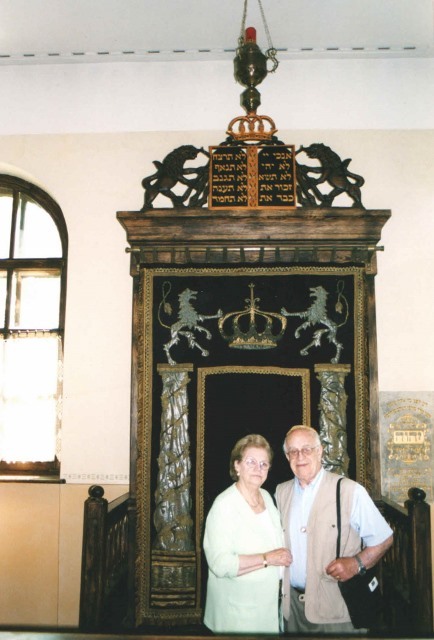 Hildegard and Jacob Hennenberg pictured inside of the Arch at the Oswiecim Synagogue. 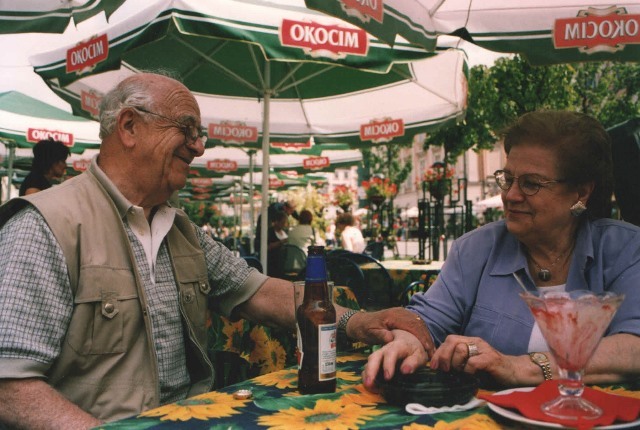 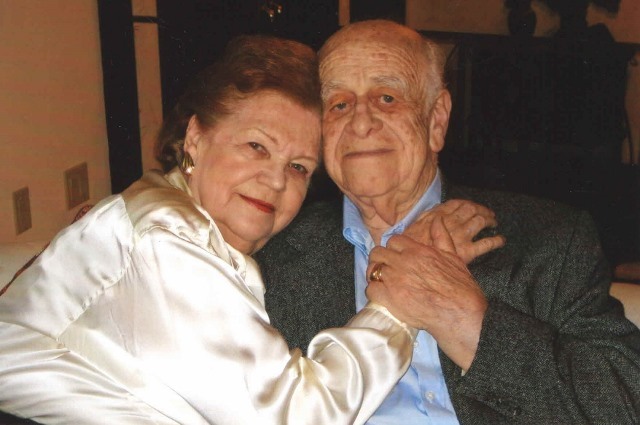 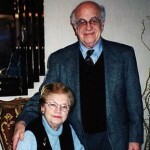 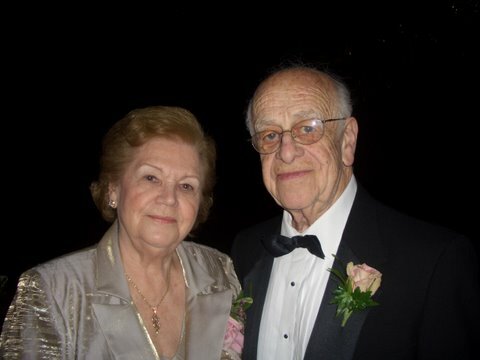 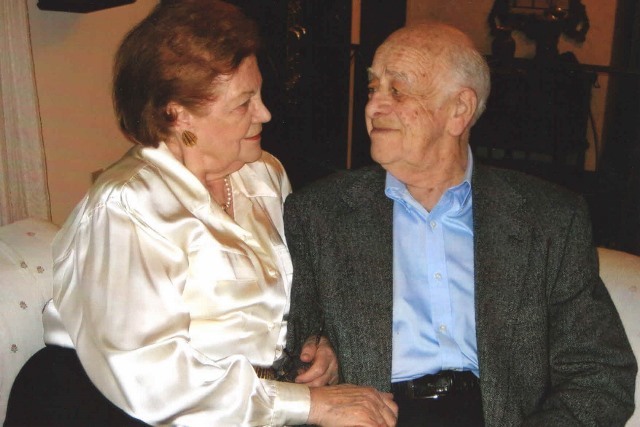 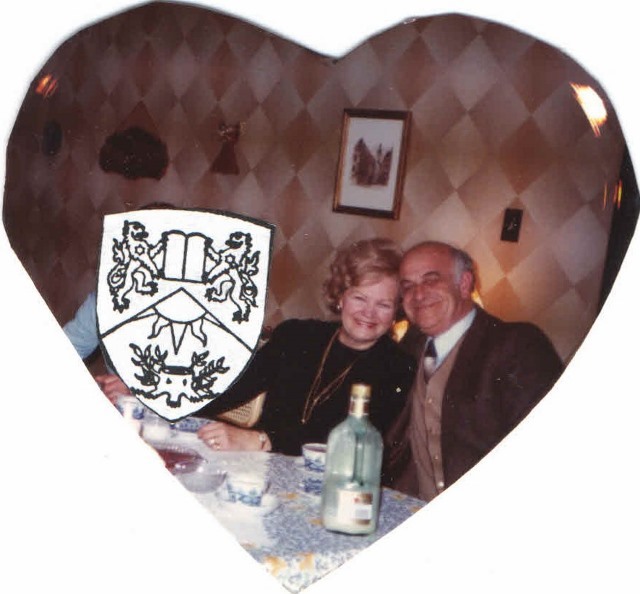 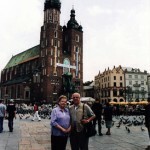 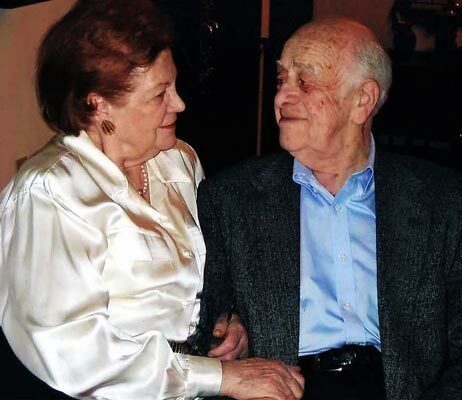 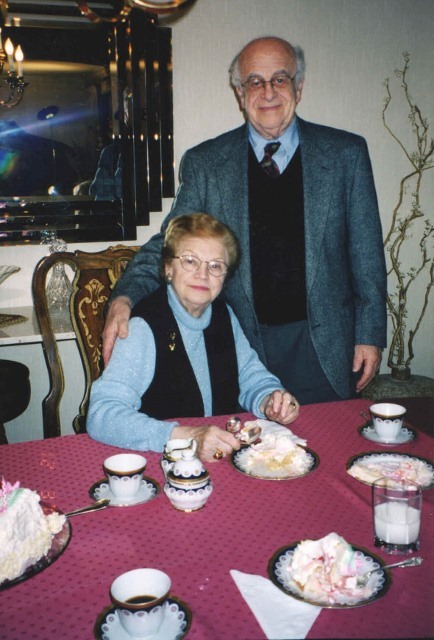 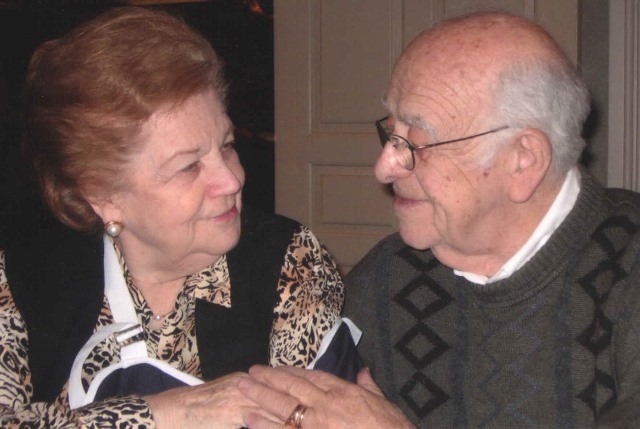 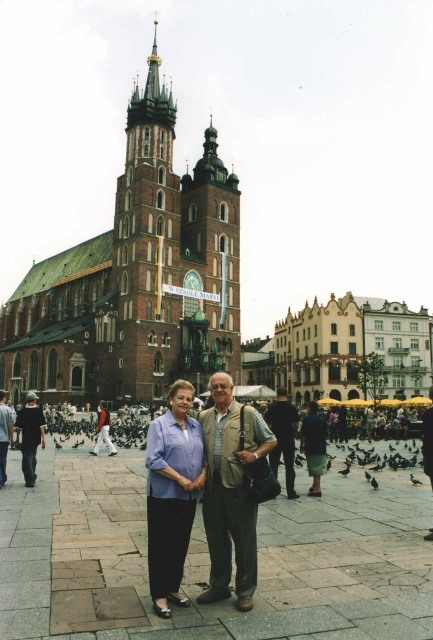 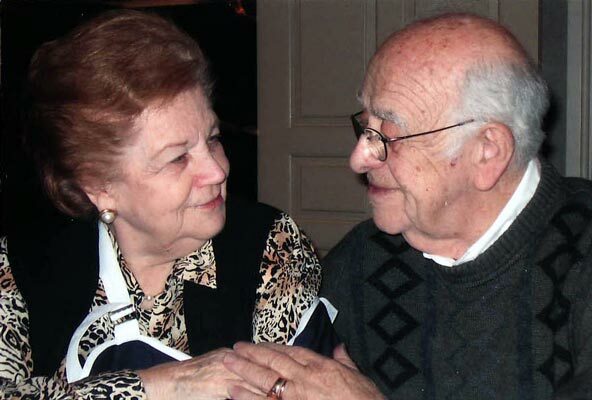 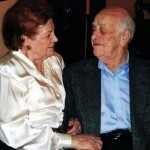 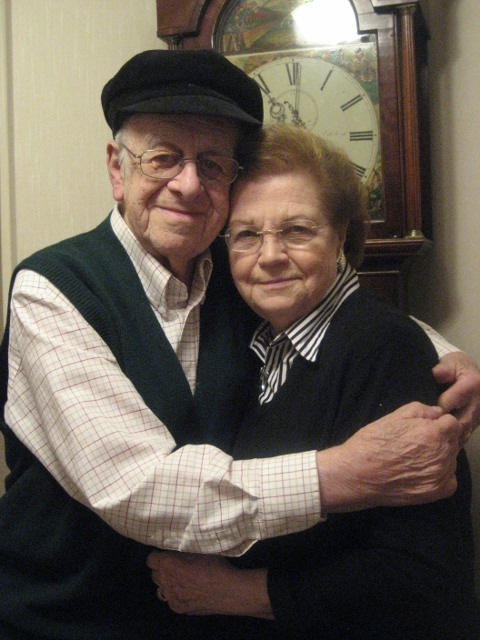 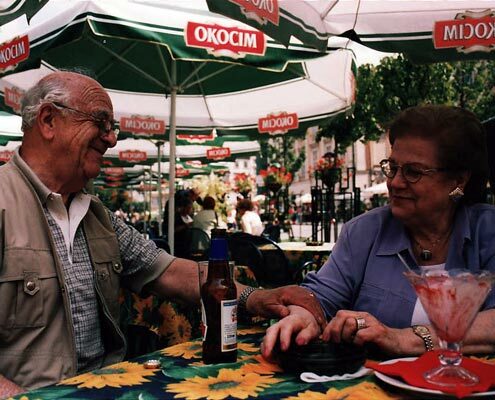 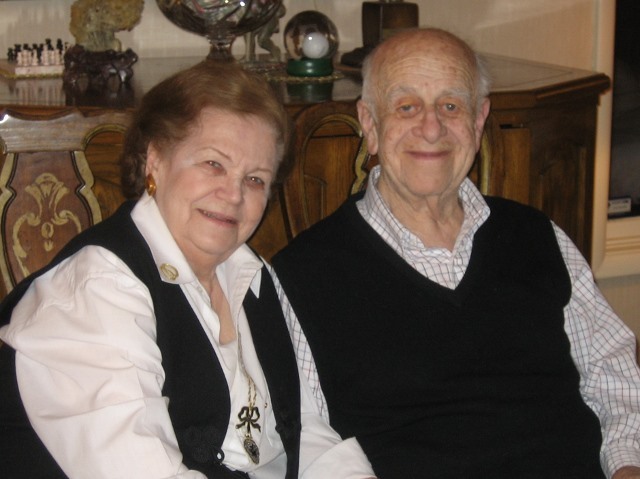 Jacob and Hildegard Hennenberg during their visit to Krakow, Poland. Jacob and Hildegard Hennenberg in Krakow, Poland. 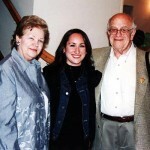 Hildegard, Julie, and Jacob Hennenberg. 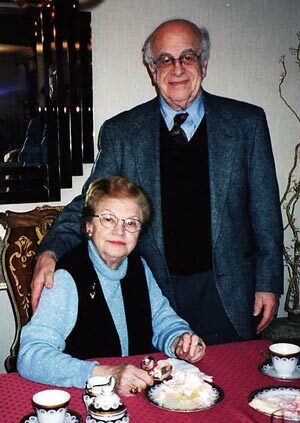 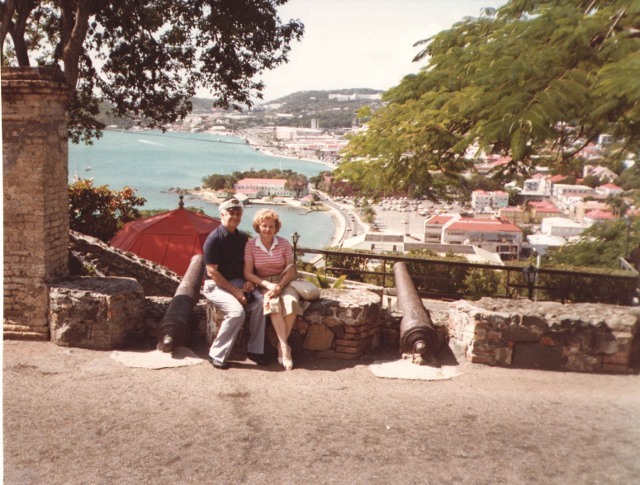 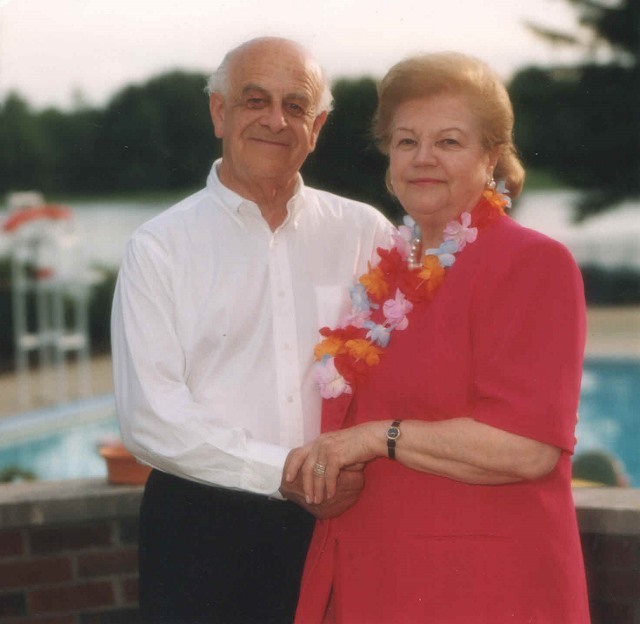 June 1996 Jacob and Hildegard Hennenberg. 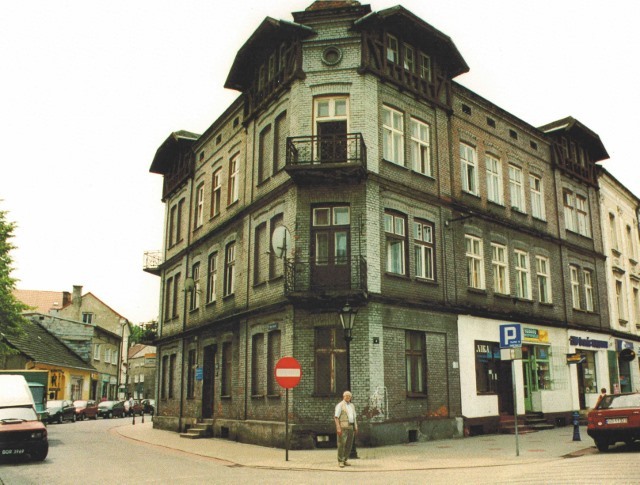 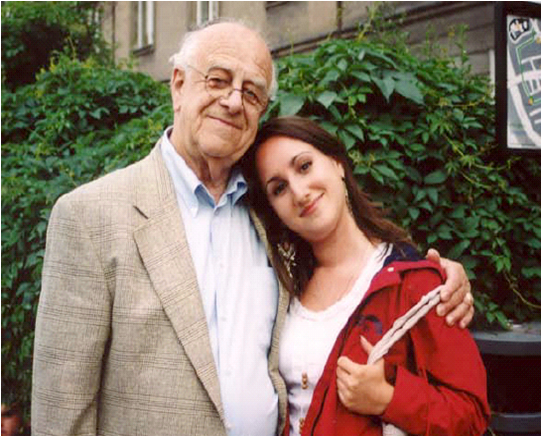 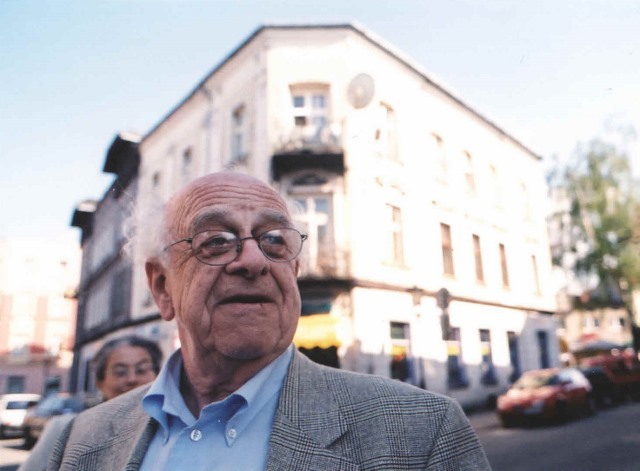 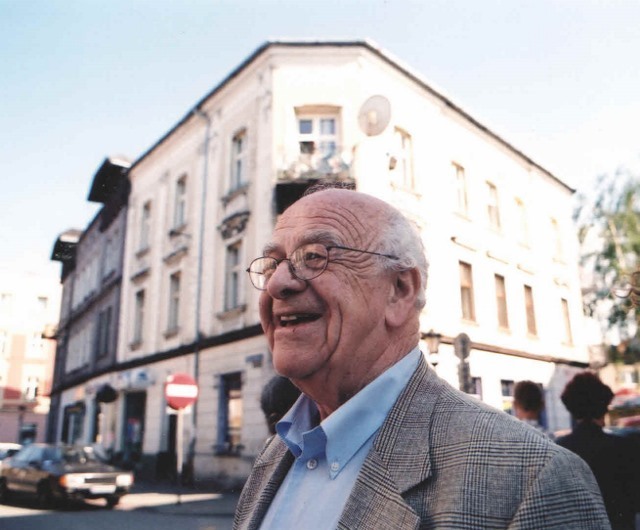 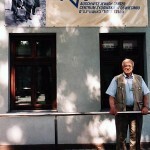 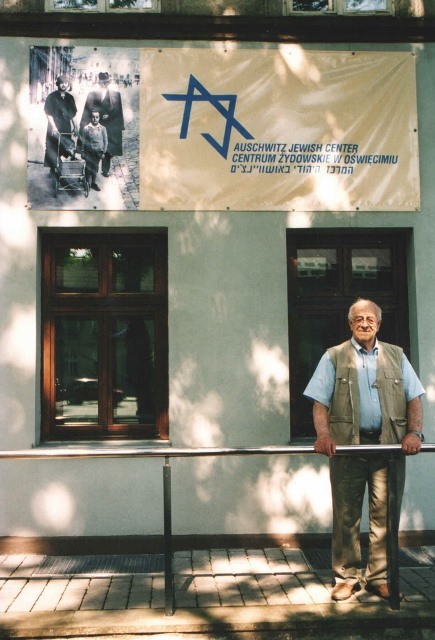 Jacob Hennenberg pictured outside the Jewish Center, Oswiecim, Poland, in 2000. 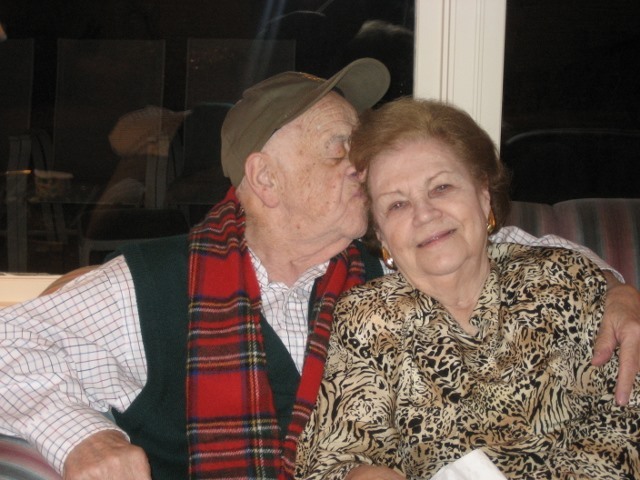 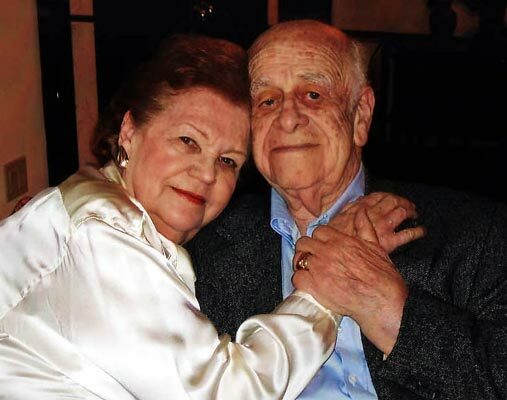 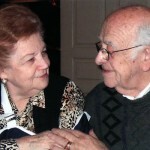 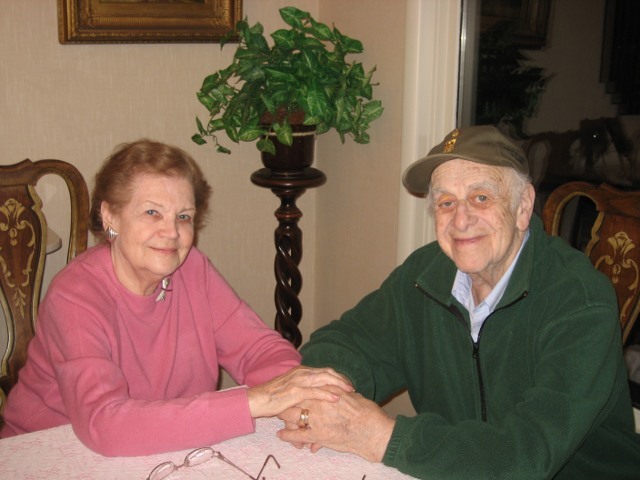 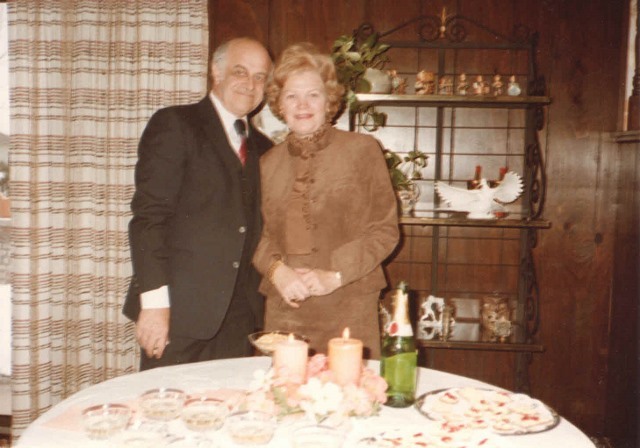 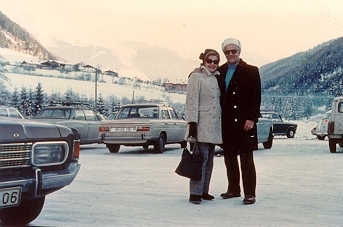 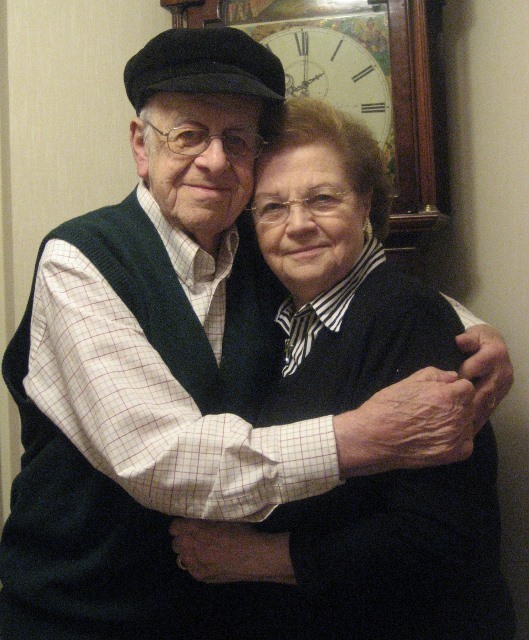 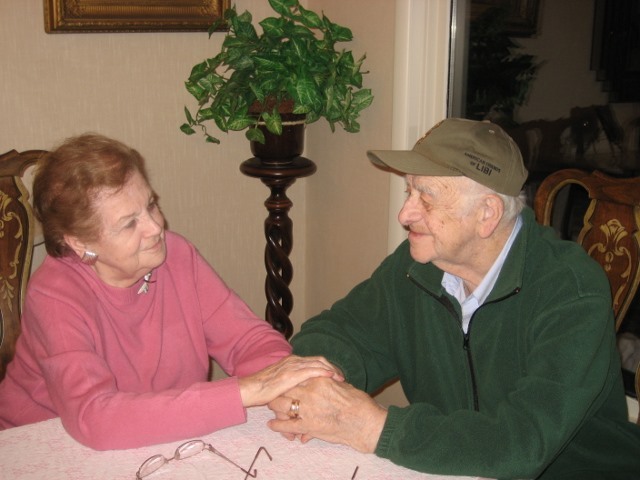 Jacob Hennenberg with his wife Hilde. 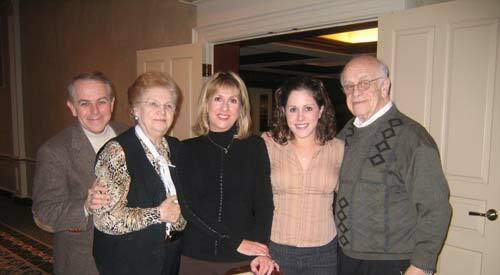 September 2007 at Beechmont Country Club. 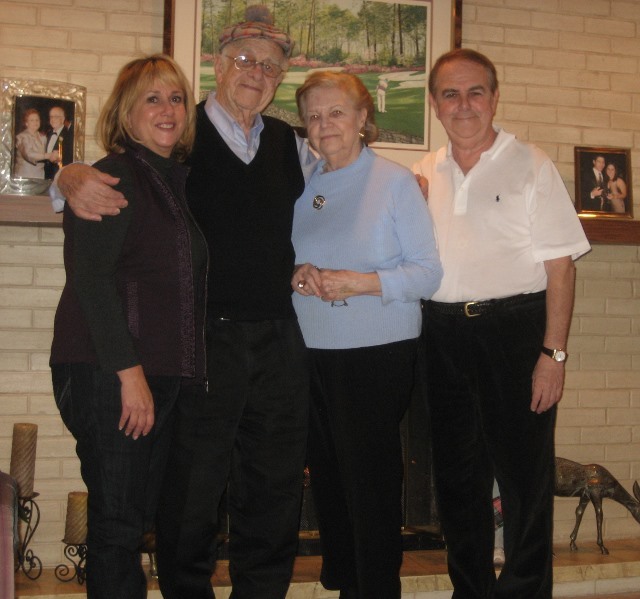 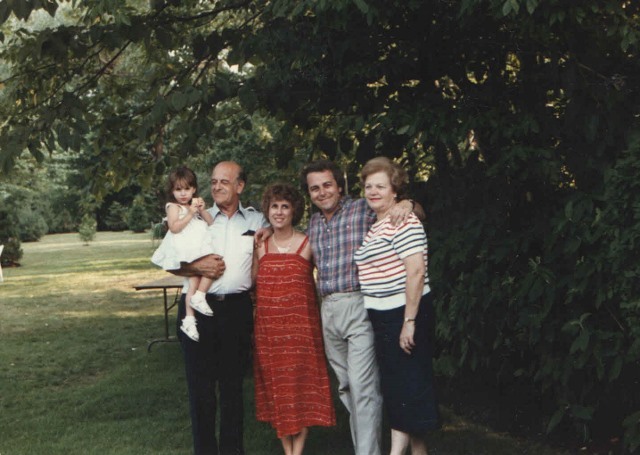 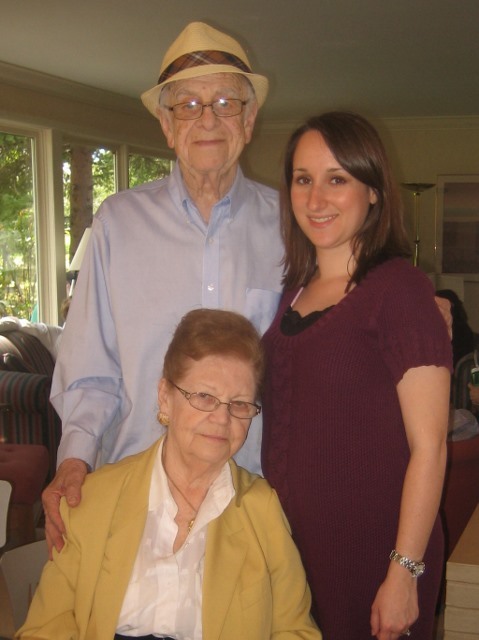 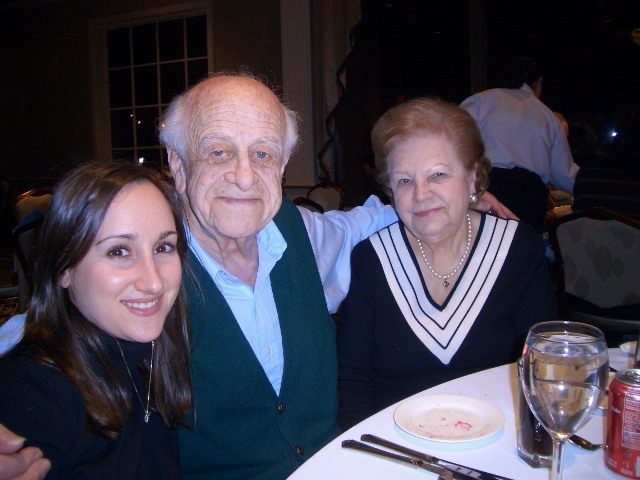 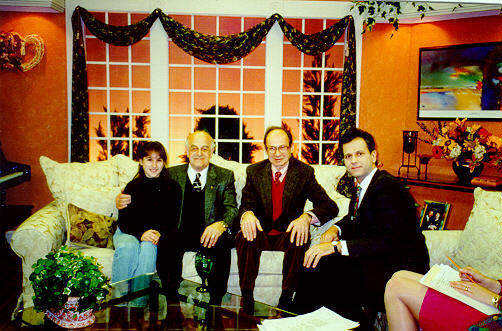 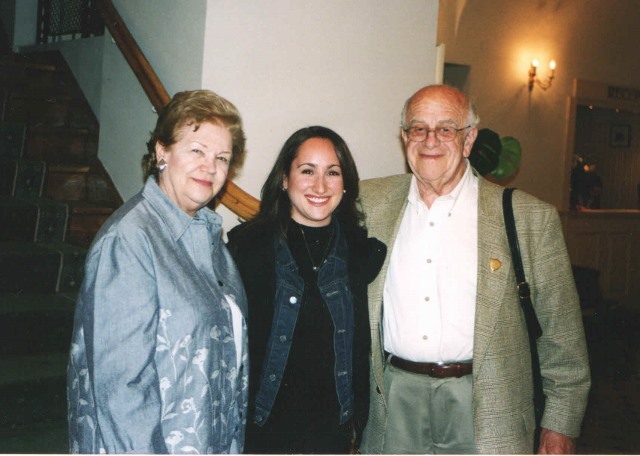 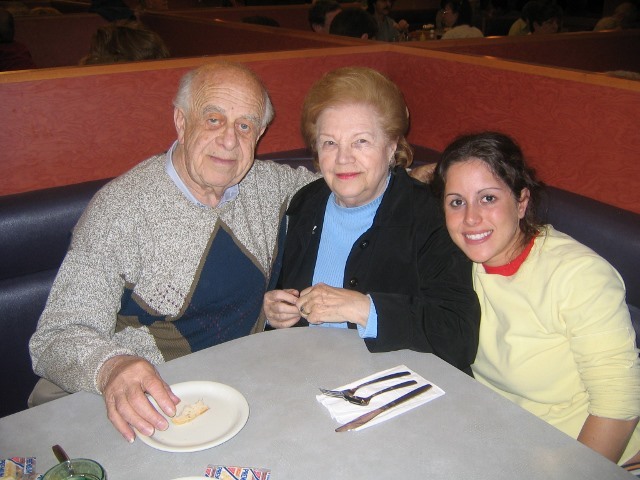 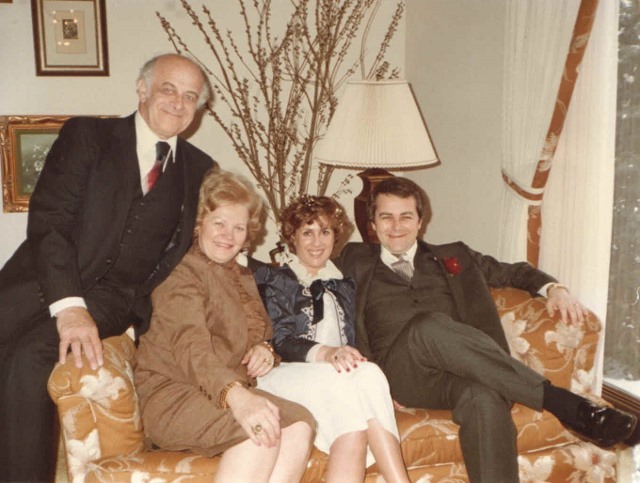 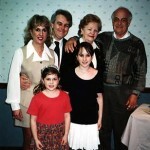 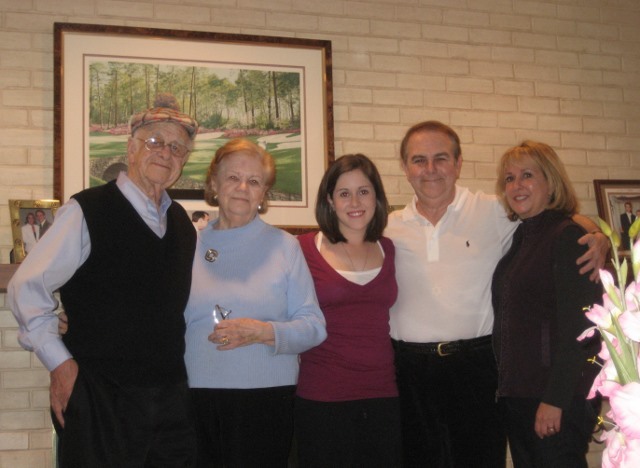 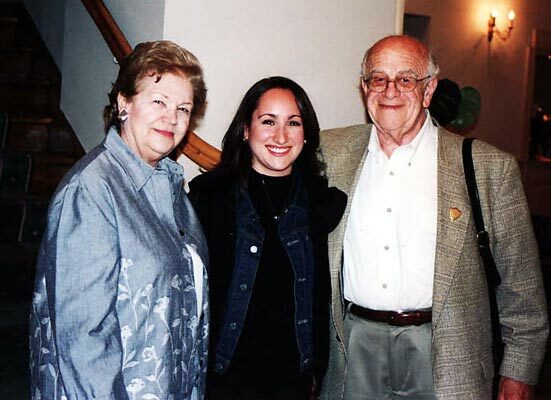 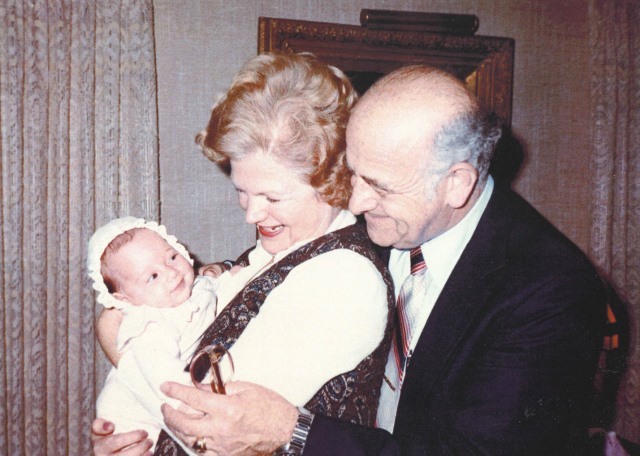 Jacob Hennenberg with his wife Hilde, grandaughter Debby, grandson David Horowitz. 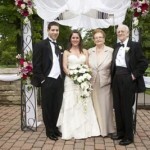 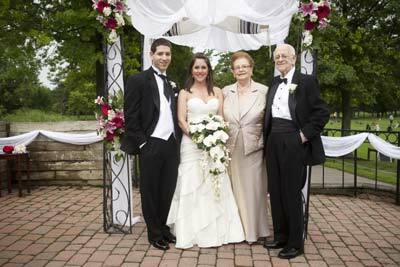 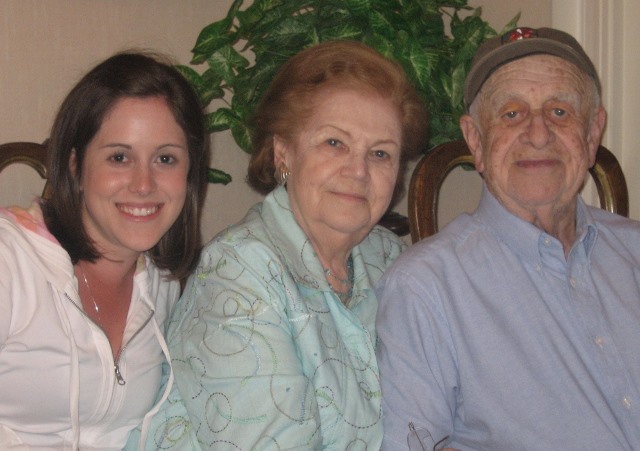 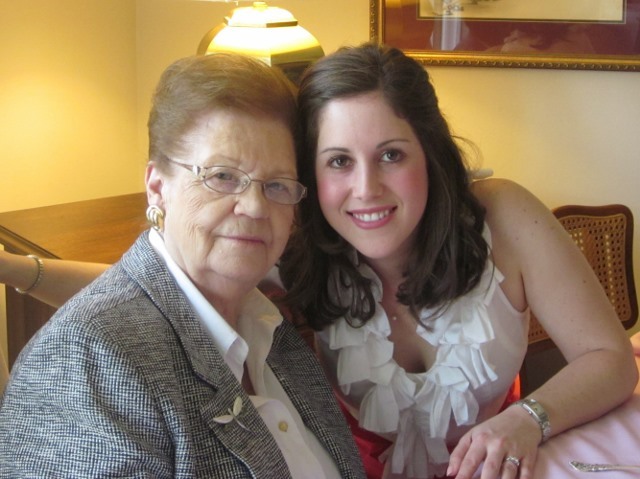 June 2011 at Beechmont Country Club. 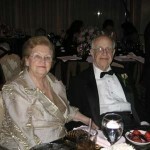 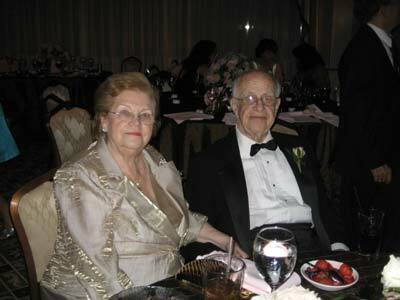 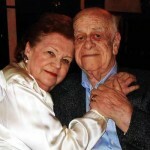 Julie Hennenberg Kronenberg and Jacob Hennenberg, Beechmont Country Club, June 2011. 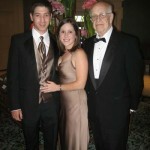 Jacob Hennenberg with grandaughter Debby and future grandson David Horowitz. 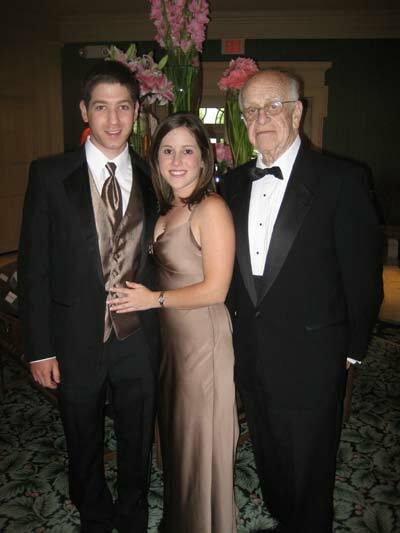 September 2007 at Beechmont Country Club. 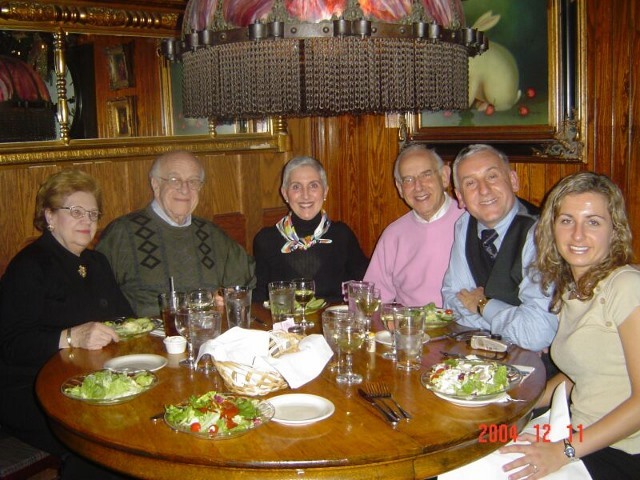 Michael, Hildegard, Susan, Debby, and Jacob Hennenberg at Beechmont Country Club, November 2005. 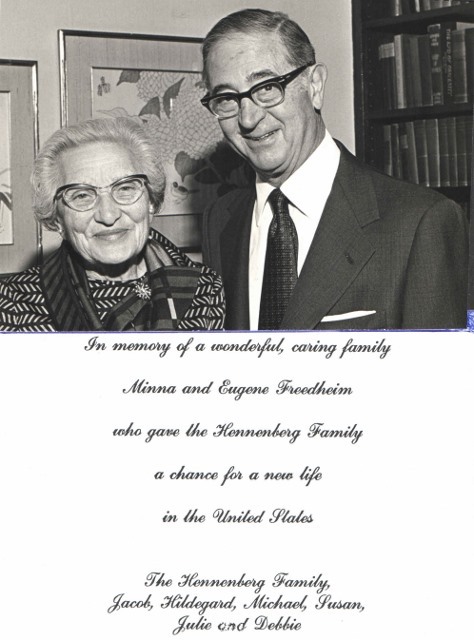 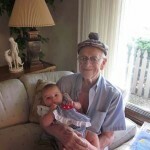 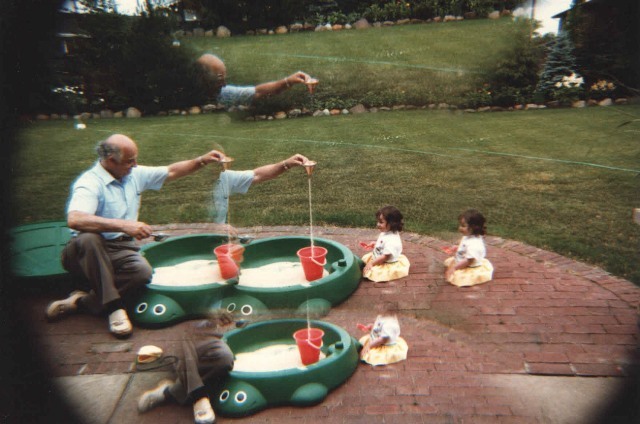 Jacob Hennenberg with his great-granddaugther Lily Sabina Kronenberg. 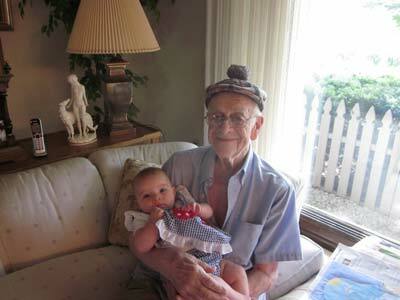 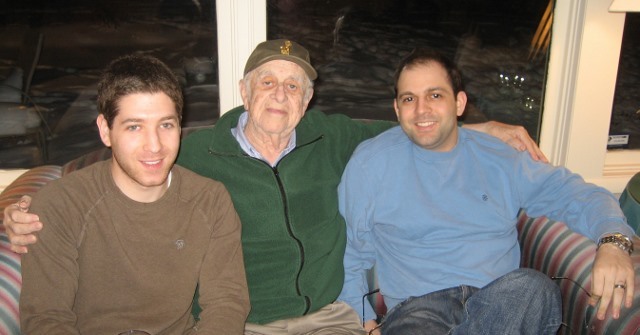 June 2010 at his Beachwood home.